Vasopressor, mild to moderate hypotension. Adults: 2-5 mg (range: 1-10 mg), not to exceed an initial dose of 5 mg IM or SC repeated no more often than q 10-15 min; or, 0.2 mg (range: 0.1-0.5 mg), not to exceed an initial dose of 0.5 mg IV repeated no more often than q 10-15 min. Pediatric: 0.1 mg/kg (3 mg/m2) IM or SC repeated in 1-2 hr if needed. Vasopressor, severe hypotension and shock. Adults: 10 mg by continuous IV infusion using 250-500 mL 5% dextrose injection or 0.9% sodium chloride injection given at a rate of 0.1-0.18 mg/min initial; then, give at a rate of 0.04-0.06 mg/min. Prophylaxis of hypotension during spinal anesthesia. Adults: 2-3 mg IM or SC 3-4 min before anesthetic given; subsequent doses should not exceed the previous dose by more than 0.1-0.2 mg. No more than 0.5 mg should be given in a single dose. Pediatric: 0.044-0.088 mg/kg IM or SC. Hypotensive emergencies during spinal anesthesia. mg for each subsequent dose not to exceed 0.5 mg/dose. Prolongation of spinal anesthesia. 2-5 mg added to the anesthetic solution increases the duration of action up to 50% without increasing side effects or complications. Add 1 mg to every 20 mL of local anesthetic solution. If more than 2 mg phenylephrine is used, pressor reactions can be expected. Paroxysmal SVT. Initial: 0.5 mg (maximum) given by rapid IV injection (over 20-30 seconds). Subsequent doses are determined by BP and should not exceed the previous dose by more than 0.1-0.2 mg and should never be more than 1 mg.
• Nasal Solution, Nasal Spray Adults and children over 12 years of age: 2-3 gtt of the 0.25% or 0.5% solution into each nostril q 3-4 hr as needed. In resistant cases, the 1% solution can be used but no more often than q 4 hr. Children, 6-12 years of age: 2-3 gtt of the 0.25% solution q 3-4 hr as needed. 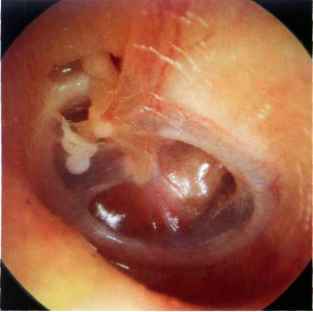 Infants, greater than 6 months of age: 1-2 gtt of the 0.16% solution into each nostril q 3-4 hr.